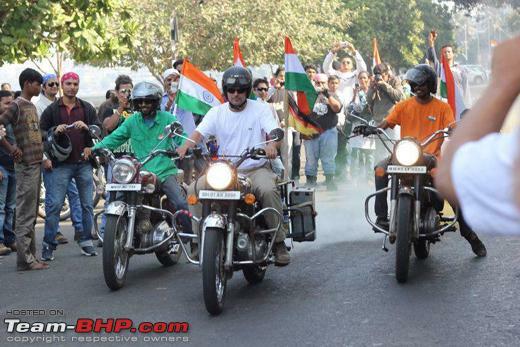 Recreational biking on 'lifestyle' motorcycles like Harleys, Triumphs and Bullets is really growing in popularity in India. Along with these bikes also comes a pre-defined 'image' for the people riding them. But there's a problem. And it's a growing one. 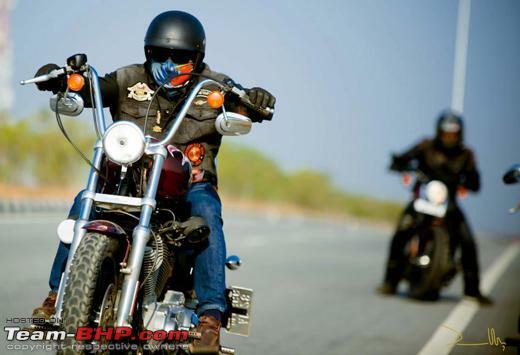 Bikers are putting looks and comfort ahead of functionality and safety. Common sense would tell you that open-face helmets aren't as safe as full-face helmets; but without knowing the specific figures, it's easy for bikers to say that they're willing to take the additional risk. For a more detailed break-up, see the original image. Can you see where the highest impact zone is? It's the chin area, and with 34.6% of all impacts, it is a whopping 16% more than the second highest impact zone! 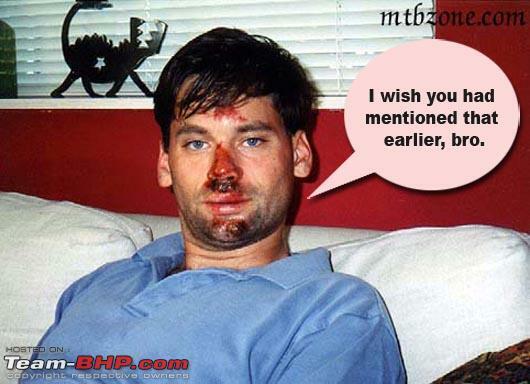 ''Trey, not that I want to discourage you from getting an open face helmet, but this is what I looked like the day after the last time I wore one. Echo helmet with brand new Haro mouthguard. The mouthguard basically slid under my chin and my glasses went through my cheek. 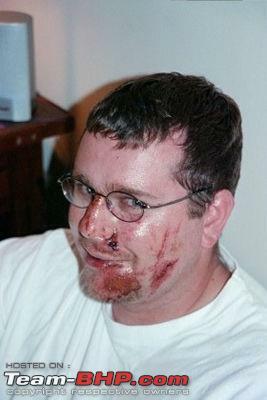 Mainly, it was just a scraped up face, but I did need 13 stitches to close up a few holes left from my glasses. 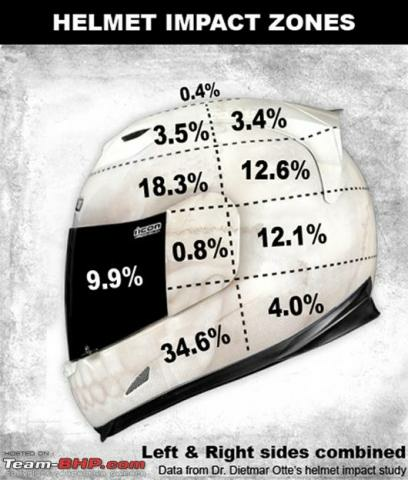 Helmets reduce the risk of head injury by 69% in a crash. Helmets are estimated to reduce the likelihood of death in a motorcycle crash by 37%. Traumatic brain injury is a leading cause of motorcycle crash deaths. Even when not fatal, debilitating head injuries can mean a lifetime of costly rehabilitation and severe trauma for those involved. Treating severe traumatic brain injuries costs 13 times more than non-brain injuries. Un-helmeted riders are 40% more likely to die from a head injury than someone wearing a helmet.